Electrical engineering for a new 28,000 sq. ft. Lake Champlain Science and Education Center on the Burlington waterfront. 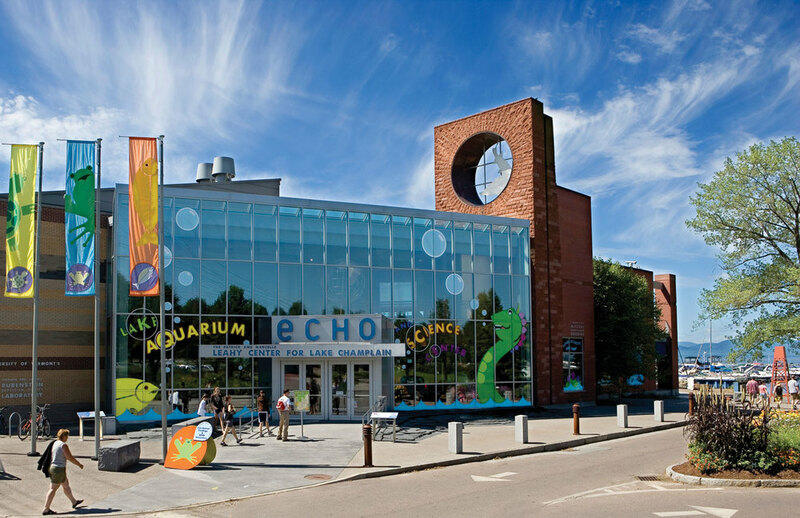 The ECHO Center facility is Vermont’s first LEED Certified building. Design included coordination with Burlington Electric Department, Verizon and Adelphia Cable for relocation of existing aerial services. Work included coordination with Burlington Public Works staff for services to the existing pump station. Design included interface with existing UVM Rubenstein Lab for electrical power. Close coordination with specialty aquatic, display commissioning agent and mechanical designer for electrical power and controls to tanks and interactive education displays. Occupancy lighting controls, day lighting controls, “Dark Sky” compliant exterior lighting and energy efficient interior lighting fixtures were included in the design.